Seperate multiple keywords with space. Seperate multiple locations with space. India 2 Yrs. and 9 Mth. India 21 Yrs. and 0 Mth. Overseas 1 Yrs. and 2 Mth. India 5 Yrs. and 0 Mth. Overseas 4 Yrs. and 0 Mth. India 8 Yrs. and 0 Mth. Overseas 12 Yrs. and 6 Mth. India 4 Yrs. and 5 Mth. India 1 Yrs. and 6 Mth. India 6 Yrs. and 6 Mth. Overseas 3 Yrs. and 6 Mth. India 1 Yrs. and 5 Mth. Overseas 2 Yrs. and 1 Mth. India 2 Yrs. and 8 Mth. Overseas 3 Yrs. and 10 Mth. India 12 Yrs. and 6 Mth. India 2 Yrs. and 1 Mth. Overseas 4 Yrs. and 4 Mth. India 9 Yrs. and 0 Mth. Overseas 5 Yrs. and 0 Mth. Overseas 5 Yrs. and 3 Mth. Overseas 12 Yrs. and 1 Mth. India 4 Yrs. and 6 Mth. India 9 Yrs. and 2 Mth. Overseas 7 Yrs. and 2 Mth. India 13 Yrs. and 0 Mth. Overseas 3 Yrs. and 0 Mth. India 11 Yrs. and 0 Mth. India 10 Yrs. and 11 Mth. India 0 Yrs. and 0 Mth. Overseas 6 Yrs. and 4 Mth. India 8 Yrs. and 8 Mth. Overseas 9 Yrs. and 0 Mth. India 3 Yrs. and 2 Mth. Why should Asiapower be appointed as one of your Favourite suppliers? Asiapower has highly experienced and technically qualified Recruitment Managers and strength of 153 staff members in our head office and branch offices. Asiapower has an extensive computerized databank and also have contractual access to 3 leading premier jobsites i.e. 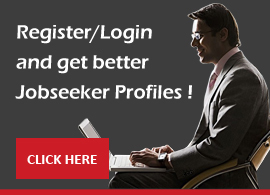 Naukri.com, Timesjobs.com & Monster.com which contains large database for all industries meeting the International Standard. Asiapower has an aggressive team who conducts extensive sourcing of candidates throughout Asia. The above adds up to our credentials to be on record of your panel of favored Asian Manpower suppliers for your projects.